Müller, the owner of Müller Rice and Müller Corner, has acquired Robert Wiseman Dairies, the UK's biggest fresh milk producer, for £279.5m. German-owned Müller is already a big presence on the nation's supermarkets shelves with its household yoghurt brands. Robert Wiseman Dairies, which was founded in 1947 and still operates from the original farmhouse, has an approximate 30% share of the UK fresh-milk market. 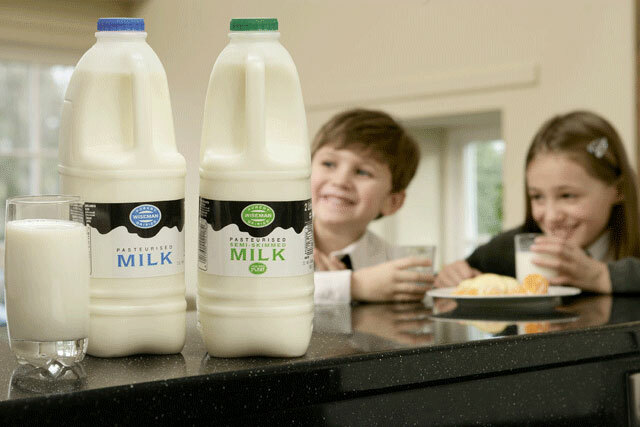 Milk sold to retailers for their own brands accounts for the majority of its revenues (£917.5m in the year to 31 March 2011). However, around 20% of revenues come from Wiseman's own brands, led by the Black and White brand launched in 1988. Other brands include The One (a 1% fat milk), Puriti (a longer-shelf-life milk), Freshnlo (a semi-skimmed milk) and Shock (a flavoured milk range). It competes with other milk brands such as Arla's Cravendale, which has been heavily marketed with national TV advertising. Wiseman said the deal made "strong commercial and strategic sense." Müller's UK business has recently been through some upheaval. The chief executive departed in October, followed a month later by marketing director Lee Rolston. In December, the company's advertising agency, TBWA\London, resigned following Müller's decision to return to a conventional form of advertising, moving away from the agency's more radical strategy to engage new audiences. The agency was responsible for a £20m advertising campaign, 'Wünderful stuff', Müller's biggest ever, in October, which included cartoon characters from the 1980s, such as Yogi Bear and Mutley, dancing in a street. According to its latest financial figures, Robert Wiseman reported a 43% dip in profits to £11.8m in the six months to October 2011. It has also warned that profits are likely to be hit in the first quarter of 2012. Müller generated more than €2.2bn in sales in 2010.